Can we expect something ambitious moving from the late 90ies Black metal inspiration? 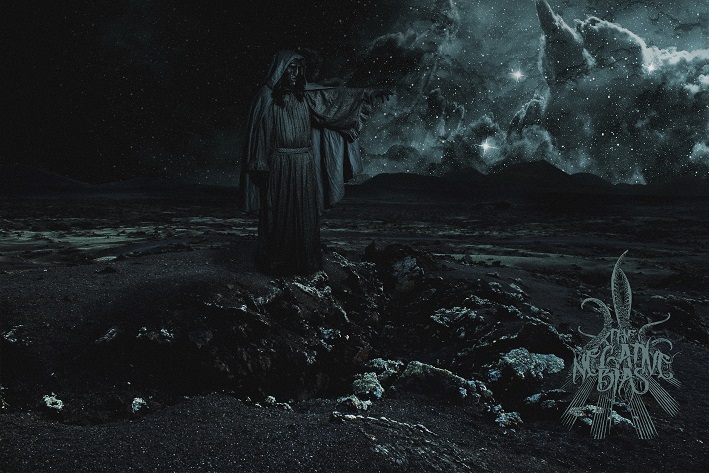 Does Atmospheric Black Metal finally break the borders? I.F.S. (ex ALASTOR) as the main founder of THE NEGATIVE BIAS realizes his own visions with the musical help of S.T. of the seminal project GOLDEN DAWN (band active since 1992) & RAUHNÅCHT. Their symphonic musicianship is now at the service of this new project. Mixing futurist pessimist cold perceptions and a visionary spectrum of primeval fear, THE NEGATIVE BIAS looks over the usual terrestrial wall, raising an even more disturbing assumption on the novel of the future. Hate can be easily analyzed by the human science but opening the portal of a new experimental universe may raise new monsters. The musical approach of this album consists of wisely alternated atmospheric and ambient layers over Symphonic Black Metal that doesn’t run the risk to sound too nostalgic, but that aspires to paint a new flux. There is no feeling of being merely lost in the cosmos but following a precise conceptual storyboard and complex songwriting, still lot has to be told by the music itself. -LAMENTATION OF THE CHAOS OMEGA- and will include 6 tracks full of cosmic faith. To be released in November in a limited digipack edition.